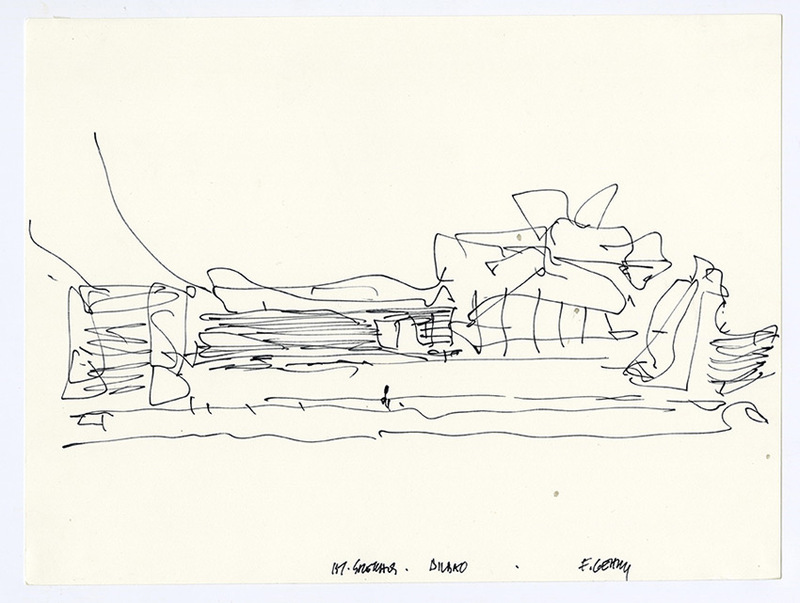 With the entire hubbub over the L.A. River non-master plan, Gehry Partner’s new designs for Sunset Boulevard, a medal from the Getty, and critic Paul Goldberger’s hagiographic biography it’s easy to forget that a major retrospective simply entitled Frank Gehry opens LACMA on September 13. 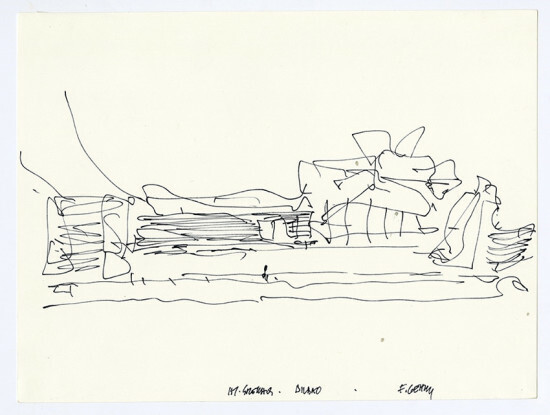 The exhibition originated at the Centre Pompidou in Paris and was curated by Frédéric Migayrou and Aurélien Lemonier, LACMA curators Stephanie Barron and Lauren Bergman curated the Los Angeles installment, which is designed by Gehry Partners. 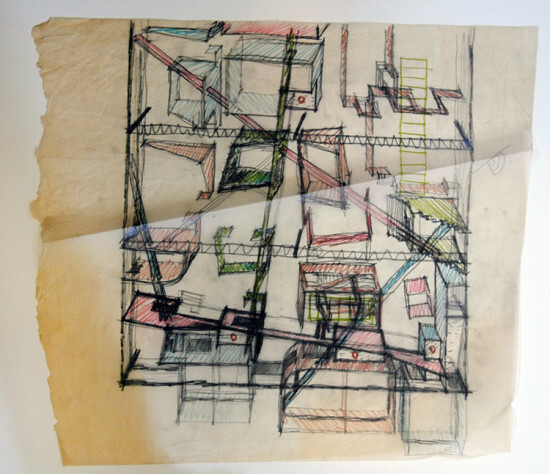 The Resnick Pavilion will be filled with over 60 projects, illustrated with dozens of models and drawings, from the 1960s onward. Several projects will be on view for the first time, including Facebook’s new campus and the Philadelphia Museum of Art’s renovation. 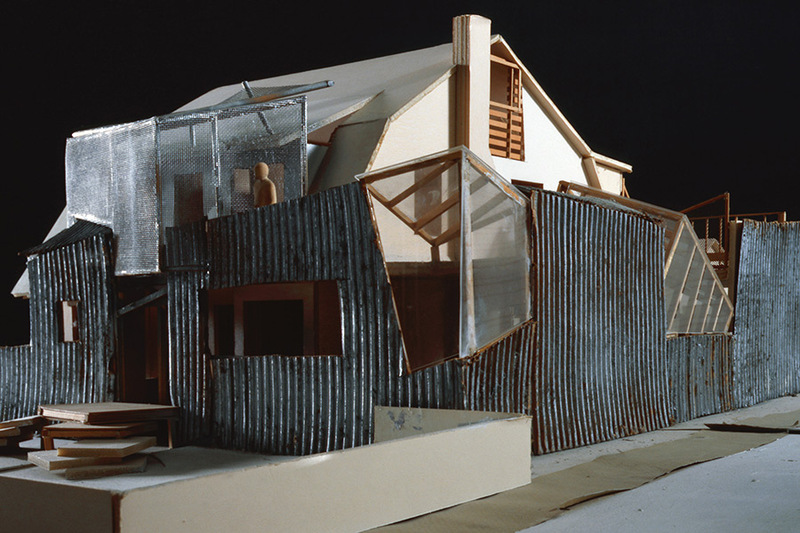 Touring the exhibition, the LA Times discovered a model of the Jazz Bakery, a non-profit music venue in search of a new home. 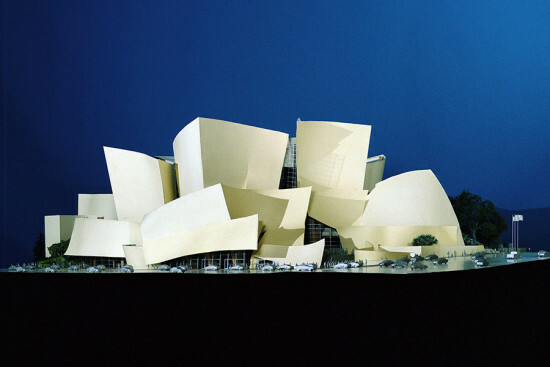 Gehry’s pro-bono design for a site in Culver City includes 266-seat theater, a 60-seat black-box theater, and a West Coast jazz museum. According to LACMA, the exhibition tracks two threads of Gehry’s career: urbanism and digital technology. While the latter suggests a straightforward trajectory leading to CATIA Digital Project and Gehry Technologies, the first is more impressionistic, focusing on the architect’s use of everyday materials and his sensitivity to context to “create heterogeneous urban landscapes.” With conceptual themes in the exhibition such as “Composition | Assemblage,” “Conflict | Tension,” and “Unity | Singularity,” don’t expect much urban planning in the gallery. Gehry will be in conversation with Goldberger at LACMA’s Bing Theater on Sunday, September 13 at 2:00p.m. The event is free to the public, but tickets are required. More info on LACMA’s website.